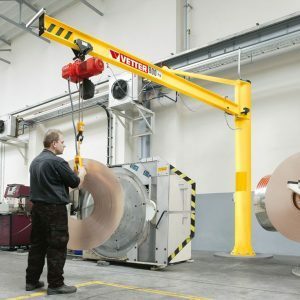 The slewing jib crane PRIMUS is our compact standard crane featuring an infinite slewing range. 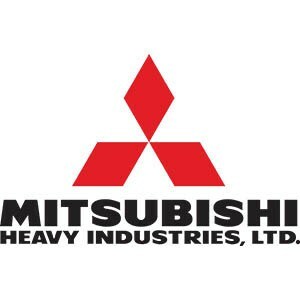 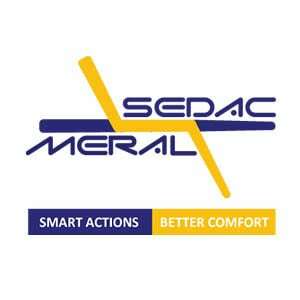 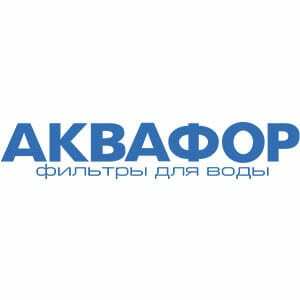 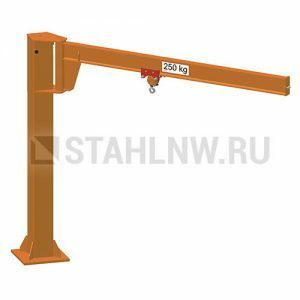 You can use it in any workplaces, such as packing tables or conveyor belts, where quick and easy operations with minimum muscle power and capacities of up to 1,000 kg are required. 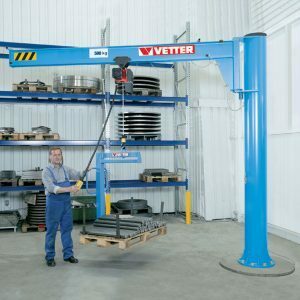 A sophisticated ball bearing makes slewing quite easy. 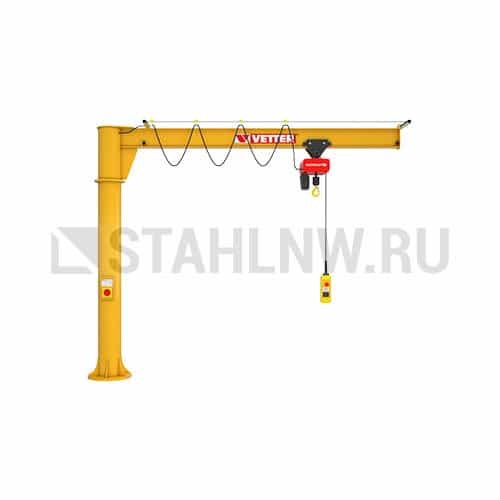 Due to its compact design, the crane features a maximum lifting height and is perfectly suitable for small and narrow operating rooms. 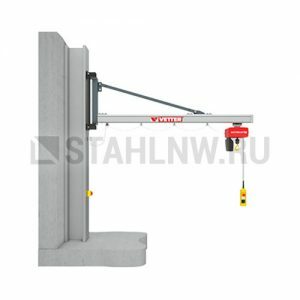 It is even possible to mount it directly on a machine. 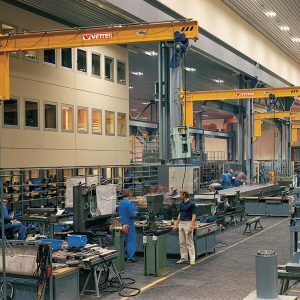 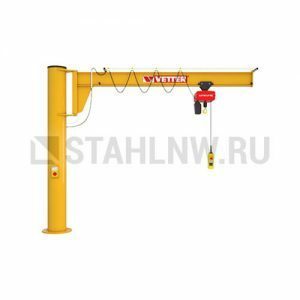 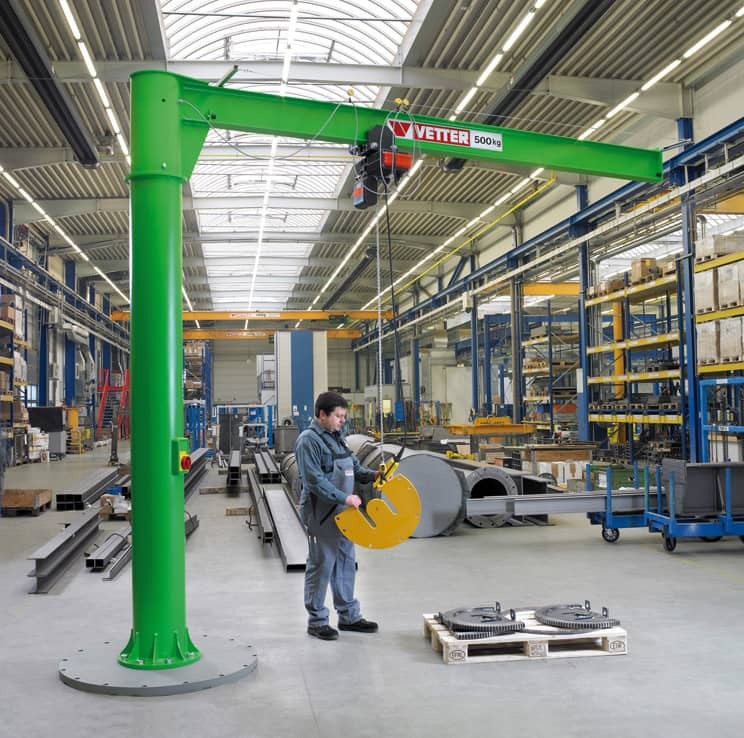 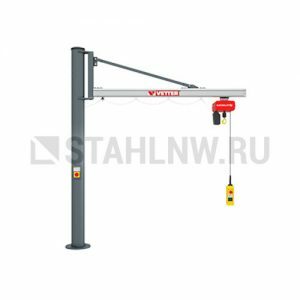 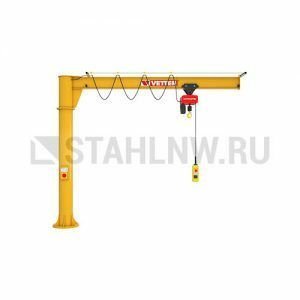 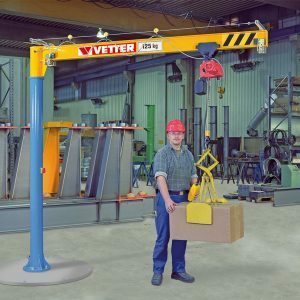 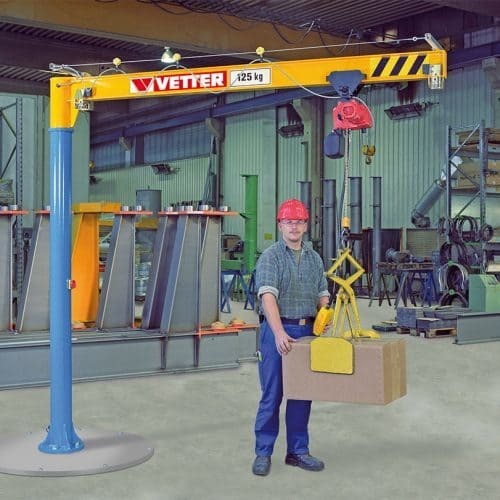 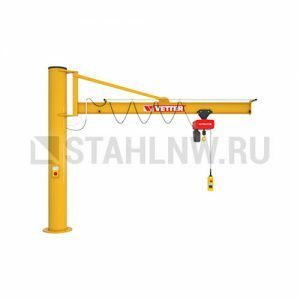 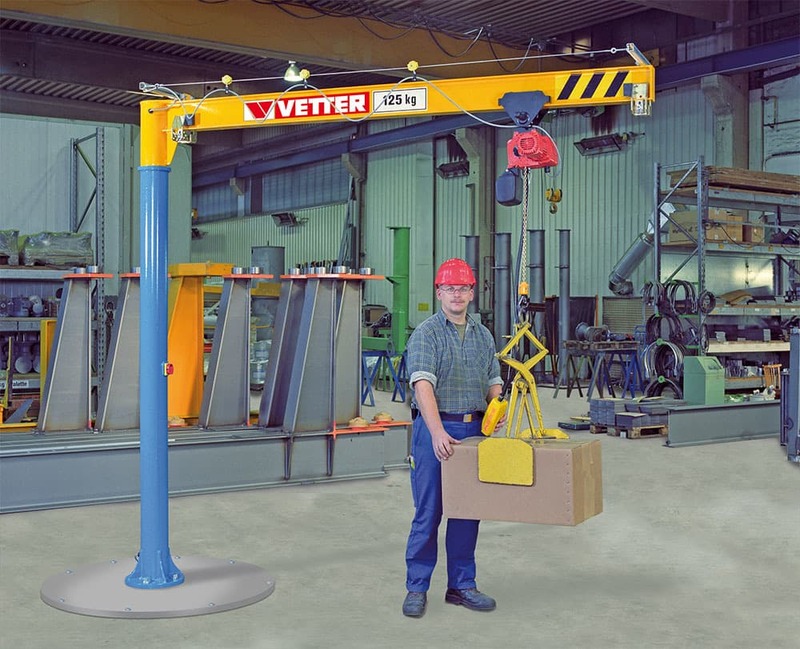 The column-mounted crane PRIMUS perfectly meets your requirements since column height and jib arm length can be adjusted individually. 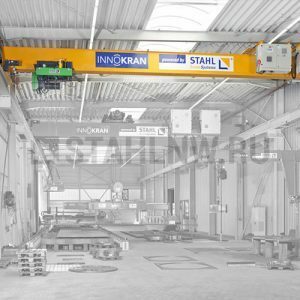 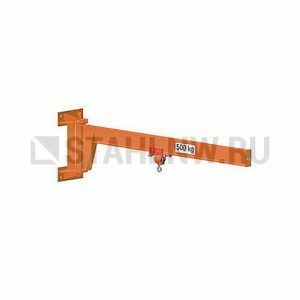 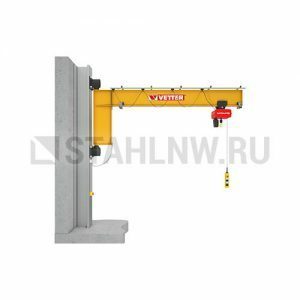 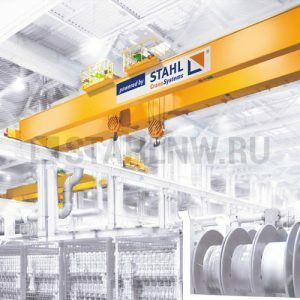 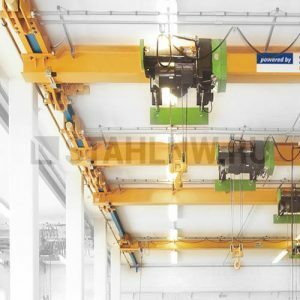 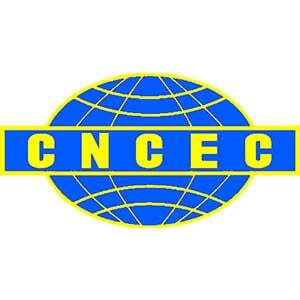 This slewing crane type is also available as mobile crane which is not attached to the hall floor.